Historically, the use of a thick latex screen, which is different from a screen printing template, is now only used for a small number of solder paste screen printers. Metal stencils are much more prevalent than latex screens, are much superior, and are not too expensive. Solder paste printing technology originates from the well-established industry of silk screen printing, so the term "silk screen" is used to print solder paste that requires thick deposits. Thick latex screens were originally much more economical than metal stencils, but their service life was not long and they were not practical for fine pitch. A nylon, polyester, or stainless steel screen is placed on the frame. Stainless steel wire is the best because of its rigidity. Industrial silk screens are very fine, about 400 wires per inch, so that fine ink particles (2~3Î¼m) can flow smoothly through the screen. In order to pass the tin beads through the screen, a much coarser screen is recommended, approximately 80 wires per inch. The screen is coated with photosensitive emulsion, usually about ten layers to seal the mesh, forming a typical thickness of 8thou. A positive photon (black pad) clear glass is placed on top and then exposed with strong UV light (eg, 2kw for a few seconds). The exposed area is hardened, soft areas are not exposed, and can be washed away leaving a mesh. Therefore, solder paste can be printed through these holes when screen printing. The squeegee squeezes the solder paste through the wire mesh using the pump action principle. Therefore, a soft rubber scraper (see the scraper section) is used. There is a gap of 1~3mm between the screen and the PCB during screen printing. The scraper presses the screen down and touches the PCB and then â€œtears offâ€. This action is necessary, otherwise the solder paste will stay on the screen rather than on the PCB pad. The application of thick latex screens has its limitations mainly due to the obstruction of screens on the openings and the limited screen print deposits, which cannot be used for less than 30 thou. Metal stencils are now used on most solder paste screen printers. The composition is that the thin metal plate has a small hole and the solder paste is printed out from it, which solves the problem of irregular deposits on the front screen printing. The screen printing blade is not required to have a pump action because the solder paste can easily flow through the opening. Nor does it require a gap between the template and the PCB. There are three ways to make metal templates: chemical, laser, and electrolytic. Take thin copper plates, or more commonly stainless steel plates, and coat the photosensitive acid-resistant material on both sides. The positive phototight (black pad) stencils are stacked on both sides and exposed with strong UV light. The exposed area hardens, and the soft pad area can be washed away. The plate is then bathed in acid and the desired holes are etched from both sides. The mutual positioning of the positive phototactical stencils on both sides of the metal plate is critical, especially the close-spaced components. If the stencil orientation is not good, the hole will form a slope, resulting in poor screen printing, the chance of this situation is usually one-tenth, but in the past few years, the problem has been largely solved, because of improved CAD Data and manufacturing techniques have reduced the error rate to about one-fifth. The successful technology will make the template like an envelope, put the empty board, can reach 2~20micron accuracy. The wall of the hole cannot be made too flat, because the acid is eroded into the hole gradually, but it will also erode to the plate. Form a "8" shaped cross section. However, since the screen printing template is thin, this is usually not a problem. Another technique is to use a computer-controlled CO2 or YAG laser to cut the holes from one side of the board. It may take about half an hour to make a template. The bigger the opening area, the more time and the higher the cost. . The laser costs about $400,000, so the laser use time is expensive. As a result, the cost of one template is usually three times that of chemical corrosion. The system is sophisticated, but in addition to its cost, there is a drawback: the laser cuts the melted metal out of the hole, and it also easily melts the surface of the stencil, resulting in a rough surface. Therefore, it is necessary to use sand polishing or chemical cleaning of the surface, leaving several micron roughness, it looks like the surface is dull, has a wear effect on the polyester blade, and makes the template difficult to clean, although some people think that the roughness will have Helps the "rolling" of solder paste. The core plate (substrate) is buried with a photosensitive insulating latex and exposed to ultraviolet light through a negative phototaxis stencil (pad area is transparent, non-silk screen area is opaque). The pad area hardens, other areas are washed away, then the core plate is bathed in an acidic electrolytic solution and connected as a cathode to the power source. The anode is depleting nickel. After a few hours, nickel precipitates in the conductive area (non-pad) and can be torn off like a piece of paper to form a hole. This template has advantages over other templates in that the inner wall of the hole is smooth and can be trapezoidal, i.e., the bottom is slightly wider than the upper one, and is at an angle of 1 to 2Â°, which helps the solder paste to pass through the template and printed on the PCB. A 10 to 20 micron "tip" is formed around the bottom of the hole to form a ring around the pad. When the screen is printed, it helps the solder paste to accurately rest on the pad. The cost is approximately 30% higher than chemical corrosion. 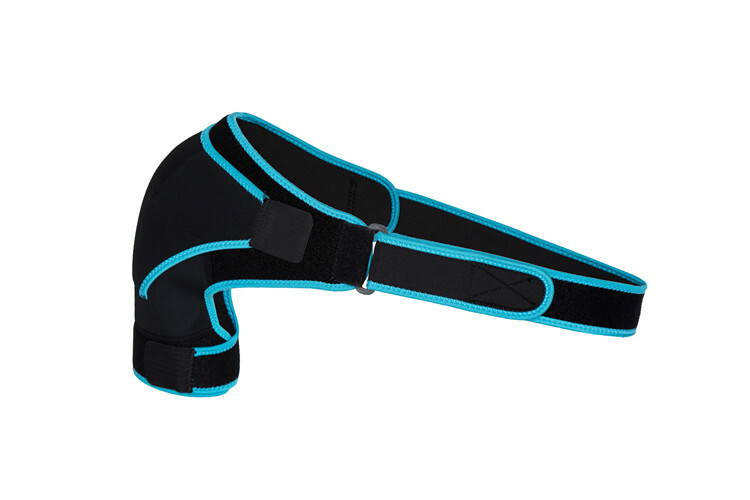 Product name: Shoulder Pads, the colors are black and blue. 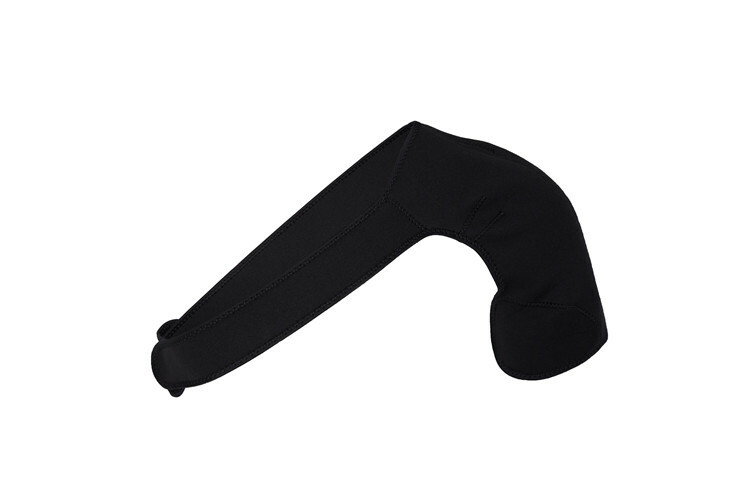 material is neoprene which will be very comfortable to fit your shoulder, and ease pain in your arms and make your arms looks more beautiful, the logo	Can be OEM which means you can order the products in our company and have your own logo on it to extend the business in your country or throughout the world.